Stephanie Arne – When Harry Met Stephanie! So yesterday was pretty great day. I spent it with a very handsome, charming man, talking about the natural world. 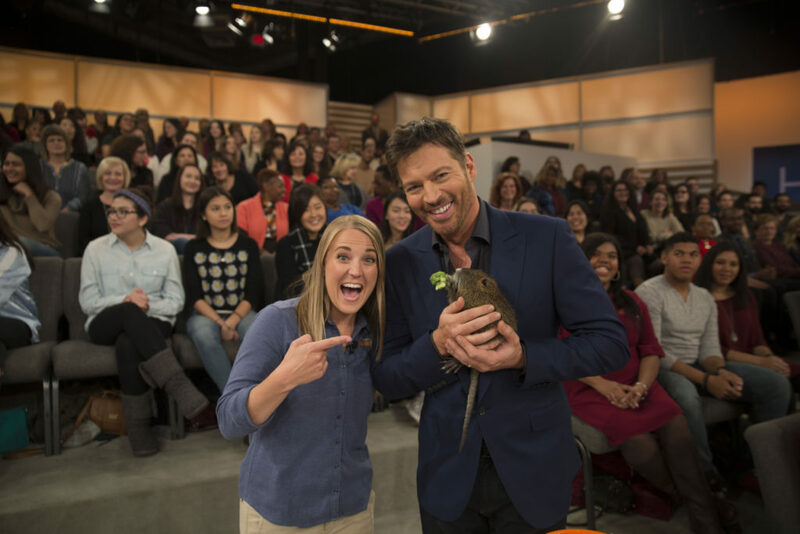 It wasn’t my boyfriend, though – it was the amazing Harry Connick Jr.! I was so excited to meet Harry. He was genuinely kind, hilarious, and really gets to know his guests. Most importantly, he cares about the same things I do: animals, and exploring and respecting nature to create stronger connections between us all. The theme was animal courtship and mating. After all, it is almost Valentine’s Day! We discussed how smells attract male and female kinkajous and binturongs, and how his wife fell in love with his smell. We did the porcupine mating dance together, which quickly transitioned to his famous “back it up” dance. Harry is definitely not a fan of rats, so when I brought on the 2-month-old nutrias, he was very hesitant. But he was brave and actually held one! He even said, “Nutrias are actually from my home state, Louisiana!” But then I said, “Actually, they aren’t originally from Louisiana.” He quickly retorted, “Girl, don’t correct me on television!” It was hilarious! He actually knew that porcupine hair was made of keratin, which is the same thing as our hair and nails. The kinkajou was very excited and proceeded to continuously wrap around my body over and over. It’s not easy to have a conversation when an arboreal South American raccoon is using your body as a tree branch! At the end, Harry leaned over and said, “Thank you so much for coming! We really enjoyed you being here.” I let him know that Wild Kingdom is back and that we can watch it at www.WildKingdom.com. He gave me a smile, handshake and said he looks forward to watching! Overall, my experience with the Harry Show staff was phenomenal. I didn’t want to leave, and I can’t wait to go back again very soon! 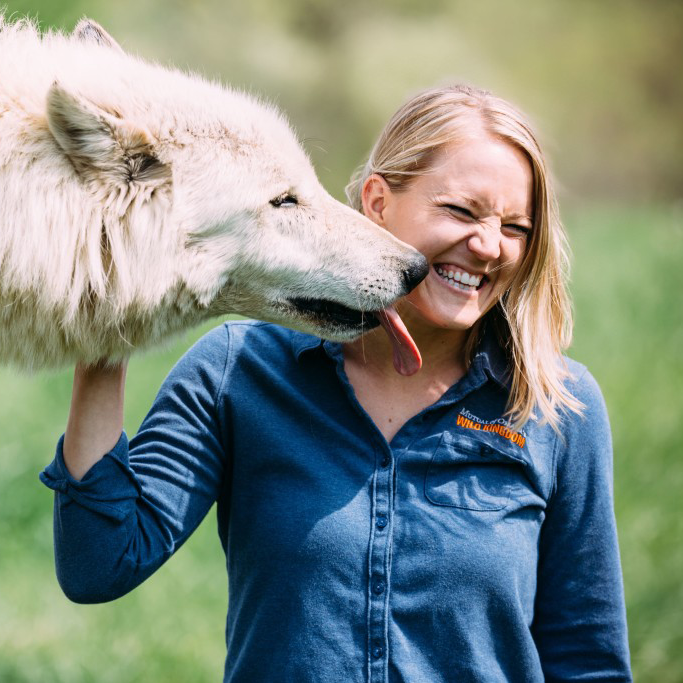 Special thanks to animal care specialists Grant and Jaimie at Wild World of Animals (http://www.wildworldofanimals.org), who are incredible resources and friends. Grant and Jaimie have been featured on shows such as Martha Stewart, Meredith Viera, Good Morning America, The Tonight Show, Jon Oliver and many more! He is highly respected in the animal care world, and I admire their passion and efforts for wildlife education, rescue and conservation. Thanks for tuning in and telling your friends!